Customised to fit your own needs. Oxford Creativity’s greatest success has been the development of unique and effective TRIZ workshops. We offer the option of booking our highly effective TRIZ learning programmes in-house, as an alternative to our public training courses. re-inforce learning of the TRIZ tools and problem solving skills. Over 20 years, we have developed Oxford TRIZ which is a fast, logical, practical, easy to apply version of TRIZ which concentrates on delivering problem understanding & solving, innovation and product development. This is an overview of all the TRIZ tools and the TRIZ processes for problem solving. This covers contradictions: the unique beginnings of TRIZ in a Siberian Gulag, and show show the extensive trawl of the world’s patents uncovered the one hundred or so TRIZ conceptual solutions. This introduces Thinking in Time & Scale for problem understanding, context and mapping in 9 boxes the full range of all potential solutions. This covers the Trends of Evolution which show the predictable patterns of how new products and processes evolve to the next generation. This includes the TRIZ tools for mapping and understanding systems to reveal essential problems ‘at a glance’ and showing the strengths and weaknesses through its functions. This covers the unique and powerful Oxford Creativity Standard Solutions which show us how to correct the problems revealed by Function Mapping. TRIZ's greatest successes have been working with manufacturing companies and other organisations, plugging the ‘solution locating’ gap in all their quality toolkits (Lean, Six Sigma, Systems Thinking, RCA, QFD, Value Engineering etc.). Your teams will unlock much more by using Oxford TRIZ in addition to their other toolkits. This one-day workshop is for delivering extra Oxford TRIZ power - to enhance your experience with all other RCA Toolkits. Delegates learn about the problem cause analysis tools already existing in TRIZ and the ways they enhance and link to other stand-alone RCA Methods. 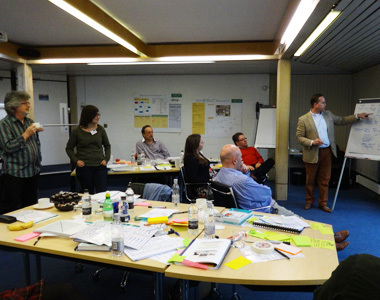 This one-day workshop helps you to go further - beyond the five Lean fundamentals. Our Ideality Tools and Oxford TRIZ Function Mapping reveal everything relevant we know and then prompt solution triggers taking us towards all the best answers for all stakeholders. 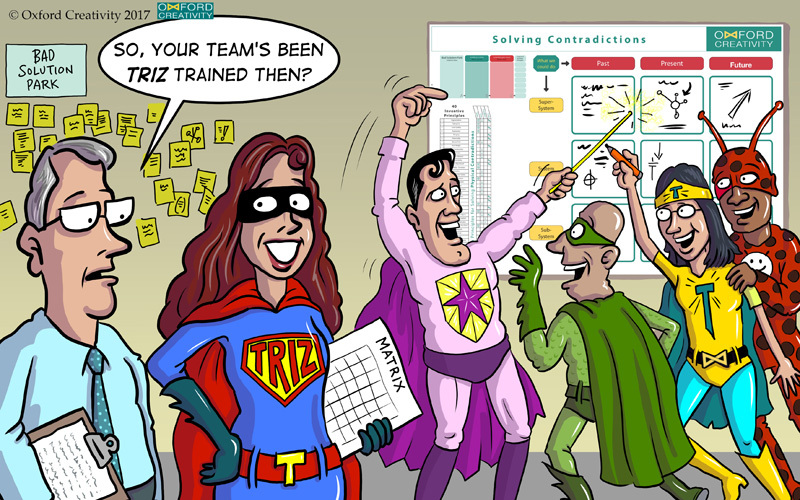 Who should book an in-house TRIZ training workshop?